Dr. Michael L. Aaronson attended Bowdoin College in Brunswick, Maine and went to medical school at the University of Connecticut. He completed both his residency in Internal Medicine and fellowship in Nephrology and Hypertension at the University of Minnesota in Minneapolis. 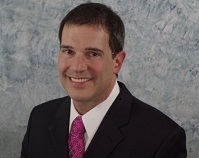 Dr. Aaronson is Board Certified in Internal Medicine and Nephrology by the American Board of Internal Medicine.